Developing a new project in the ideal technical environment, putting it on hold for a while and restarting it at a later stage under the same conditions, even from another place: OpenStack makes this possible. It is even one of its major strengths. Jan Serraris explains why he chose Combell OpenStack. 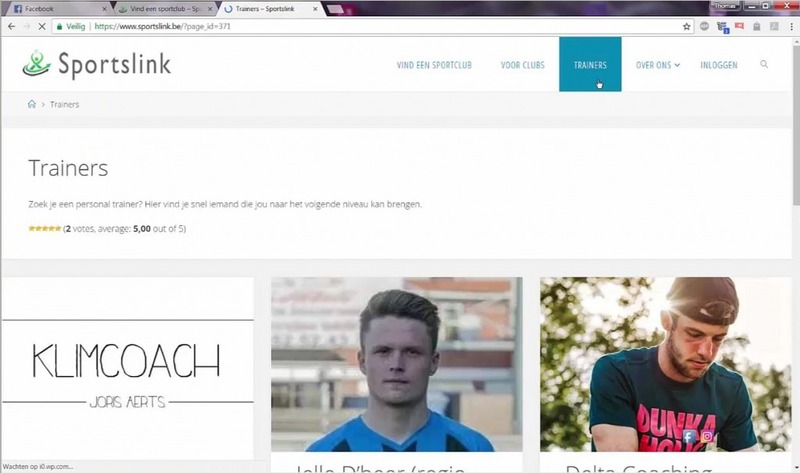 The Sportslink project was born as a thesis by a group of students from the Artevelde University College in Ghent. Their concept was to create an online platform where people could find the sports club that best suits them. 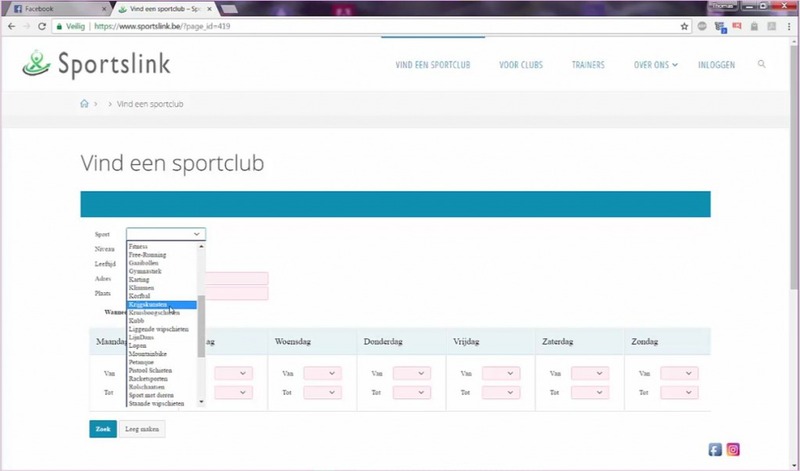 Sports clubs can use it to present their services, and users can also evaluate the clubs. Those who are not really into group sports can also use it to find coaches for private lessons. An advanced search engine (based on age, level, distance, etc.) presents sportspersons with the sports club or coach that best suits their needs. An ambitious and challenging project, for which students started a new business employing five people. For the technical elaboration, the team called on Jan Serraris, Senior Oracle Consultant and father of one of the students, who chose Combell’s OpenStack hosting services. Jan had already worked with Combell in the past and has always been happy with the quick and efficient support. After he indicated, via the website, that he was interested in web hosting, Combell collaborator Matthias Dekeyser immediately contacted him to discuss the project. The technical requirements of the project (Apache, PHP, WordPress, Oracle XE and Apex) suggested the necessity of a rather business-oriented server environment, and the students were afraid that hosting services would be too expensive. However, Matthias presented Jan with a solution whereby they could configure their hosting by themselves and thus create only and precisely what was necessary for this specific project, at a fair price: OpenStack. OpenStack can be described as a cloud operating system that allows you to create large pools of processing power, storage and networking resources in a data centre. And you can perfectly control all these elements via a control panel. The WordPresss / Oracle Apex combination preferred by Jan Serraris is hardly available anywhere, but OpenStack makes it perfectly possible. In addition, maximum flexibility and speed are guaranteed. “At first, we had to do some digging to find out how disks, network and network security must be configured. But once you have mastered the basics, everything goes very smoothly”, recalls Jan Serraris. “Via OpenStack, you can configure and start a server in just a few minutes. After that, you have a complete ‘server’ available, which offers countless possibilities”. So, after a few hours, Jan could get started immediately. “Our setup did not require any upscaling or changes either. Everything was perfect from the start”. The configuration for which Sportslink called on Combell eventually consisted of OpenStack with Linux, on which Apache is running, PHP, WordPress and Oracle XE with Oracle Apex. WordPress contains the visual part, while Oracle Apex contains the search engine and the data management system. When the Sportlinks.be web platform was launched, it was an instant success. The Flemish newspaper Het Nieuwsblad (among others) even published a report entitled “Sportslink brings together all sports club from Sint-Niklaas under one roof”. After the thesis was defended, the temporary setup was put aside on 1 July 2017. The project is currently suspended, but can be reactivated at a later time. There are in fact many promising aspects that could make the project a commercial success, such as the opportunity for sports clubs and trainers to promote their services through advertising. Who is OpenStack recommended for? Do you want to know more about Combell’s OpenStack? If you, too, have a project in the pipeline, we can help you find an environment tailored to your needs, where your project can be successful – from domain name to advanced hosting solutions. We can definitely also give a boost to your existing project by providing you with a few golden tips!